2 sizes: .59in. L.; 1.18in. 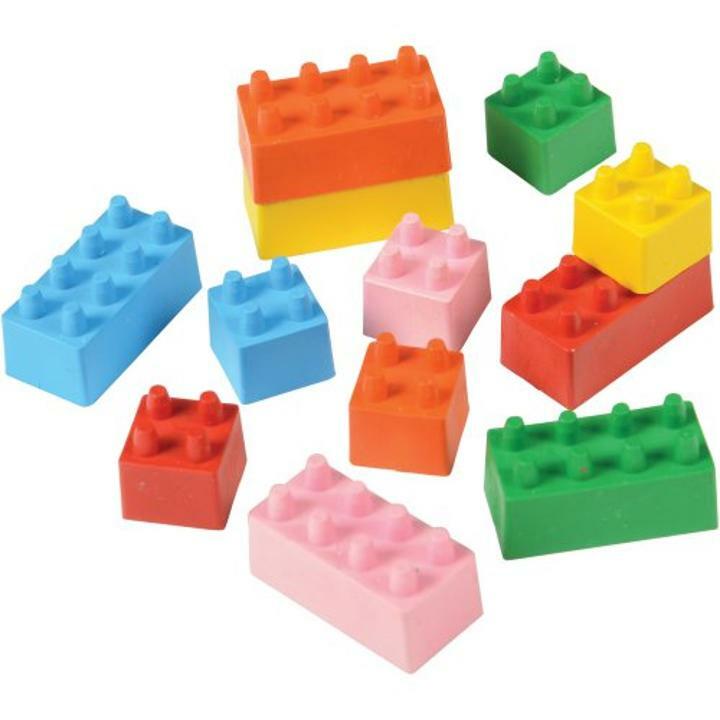 L.
Your little master builder can get his design on paper with these Block Mania-inspired brick crayons! Twelve crayons in 2 sizes and 5 different colors give your budding artist plenty to work with as they draw their original creations. A perfect party favor to "build" a fantastic Block Mania event! L: 2.0 in. W: 4.1 in. H: 7.05 in.